The news was announced in a brief press release posted to Intel's website. Along with a withdrawal from 5G modem development, the chipmaker will assess potential opportunities to integrate 4G and 5G modems in PCs, internet of things devices and other data-centric devices, the company said. Intel said it expects to continue work in 5G network infrastructure. "We are very excited about the opportunity in 5G and the cloudification' of the network, but in the smartphone modem business it has become apparent that there is no clear path to profitability and positive returns," said Intel CEO Bob Swan. "5G continues to be a strategic priority across Intel, and our team has developed a valuable portfolio of wireless products and intellectual property. We are assessing our options to realize the value we have created, including the opportunities in a wide variety of data-centric platforms and devices in a 5G world." The announcement comes after Apple and Qualcomm reached a surprise settlement in a long-running legal war over patent licensing and royalties. Revealed earlier today, the settlement includes a multi-year chip agreement that allows Qualcomm to once again enter Apple's iPhone supply chain, presenting a competitor to Intel's as-yet-unreleased — and now never-to-be-released — 5G solution. While iPhone relied solely on Qualcomm cellular modems for years, Apple welcomed Intel into the fold in 2016 with iPhone 7. Intel's share of iPhone orders grew with iPhone 8, 8 Plus and X before Apple completely pivoted away from Qualcomm with 2018's iPhone XR and XS. 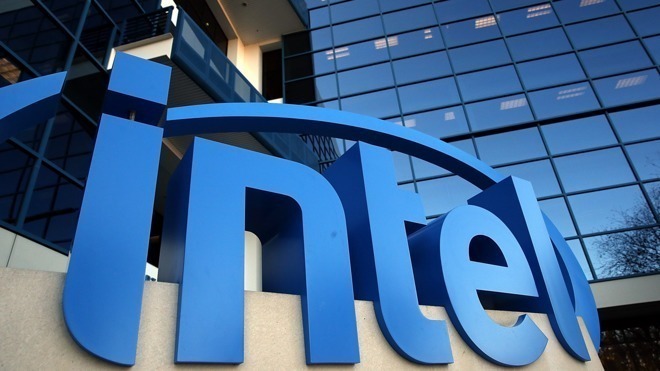 Intel was reportedly hard at work on a 5G chip, the XMM 8160, slated to debut in the second half of 2019. That chip was slated to make its way into Apple devices, but reports earlier this month claim the tech giant had "lost confidence" in Intel's ability to deliver the chip on schedule. By contrast, Qualcomm's first-generation 5G modem has been evaluated by other manufacturers and will be available in smartphones later this year. A report today said Apple has been evaluating Qualcomm 5G silicon in tandem with settlement negotiations and will likely adopt the chips in 2020. As iPhone demanded the lion's share of Intel's production capacity, Apple accounted for a bulk of the chipmaker's modem business revenue. With Qualcomm back in the mix, and bearing working 5G chips, Intel apparently felt further development of the XMM 8160 was no longer tenable.